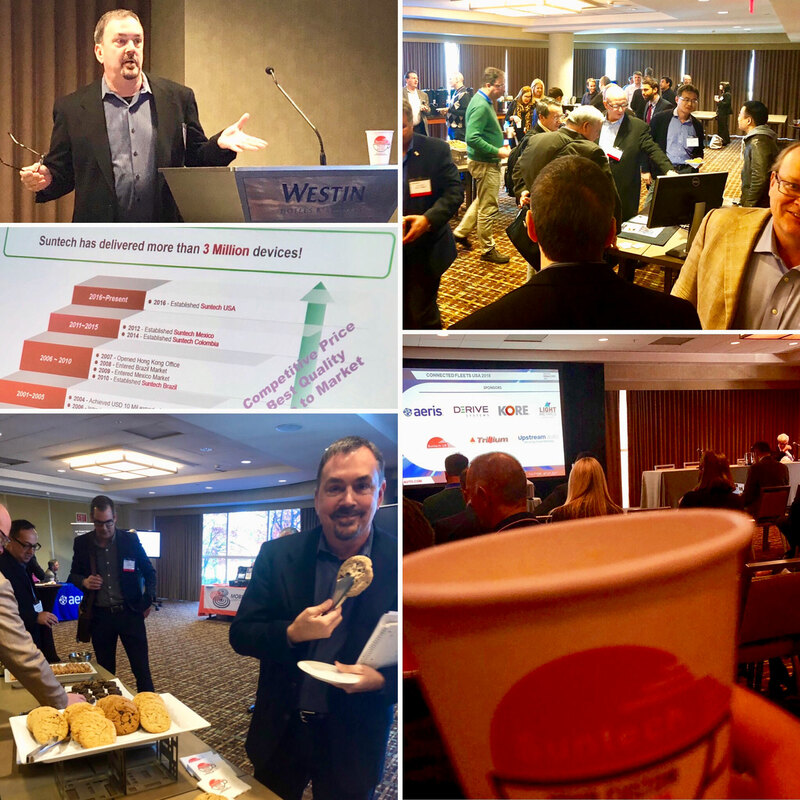 ATLANTA, Dec. 5, 2018 – Suntech US was proud to share center stage at this year’s premier event talking about big industry trends for connected technologies which are revolutionizing fleet management. At the Connected Fleets USA Conference and Exhibition, November 27-28, Steve Vorres presented about “The Strength of Simplicity” in making ELD work for the operators and what’s available for LTE Cat M1 trackers and other emerging IoT solutions. Steve also shared a real-world case study about drivers who were losing time and patience when faced with Bluetooth connection woes and how Suntech was able to help minimize bad experiences and assist the customer to address the problem at the source. As a global leader with over 3 Million devices shipped worldwide, Suntech is a proven manufacturing partner with the most cost-effective technology for delivering customized telematics hardware solutions. To get involved with Suntech today contact: info@suntechus.com, or call 1-833-282-3731.